Leading anime video game publisher and developer Bandai Namco Entertainment America announced Sword Art Online: Alicization Lycoris is coming to the Americas for the PlayStation 4 computer entertainment system, Xbox One, and PCs via Steam. 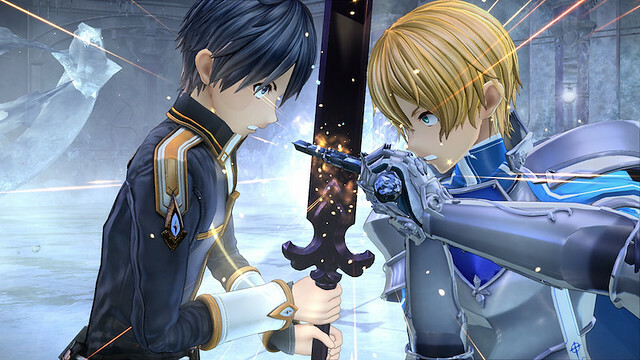 Play as series protagonist, Kirito, and become immersed in the “Underworld,” a mysterious virtual world set in the anime series’ Alicization arc. Featuring epic battles, stunning JRPG visuals, and an expansive world to explore; Kirito’s journey through the latest Sword Art Online game is ready to begin. Following the events of the Sword Art Online: Alicization anime series, Sword Art Online: Alicization Lycoris finds Kirito in a mysterious but familiar virtual world, “Underworld,” where A.I.s behave like humans. As players take control of Kirito, they will relive heart-pounding scenes from the series through intense combat. Players will also encounter fan favorite characters including Eugeo, Alice, Administrator, and many more. A wide world awaits Kirito and his friends in this exciting adaptation to the Sword Art Online: Alicization series. Graphically it looks cool, but I don't want to play as a 14 year old boy. This game looks like it will let you reassign your gender.